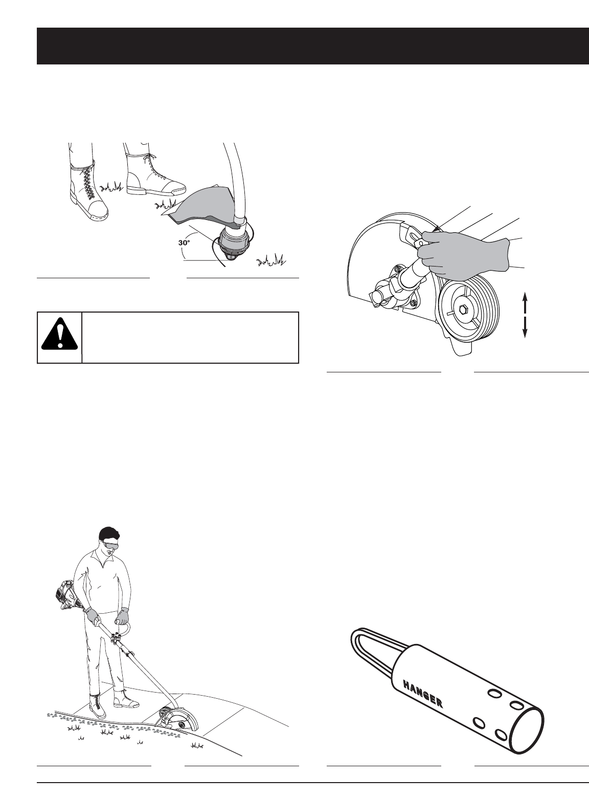 the edger is positioned as shown in Fig. 15. 3. Tighten the adjustment knob securely. • Do not force the edger. At first, edge at a lower depth. Then edge the area again with a deeper setting. performance. Replace with a new blade as required. A plastic hanger (Fig. 17) comes in the hardware pack. button on the shaft housing and push on to install. vegetation around trees, posts, fences and more. a 30° angle to the ground (Fig. 14).